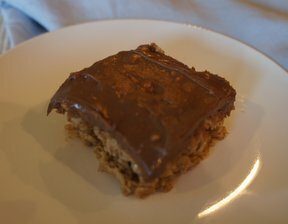 A yummy no-bake bar that is quick and easy to make. 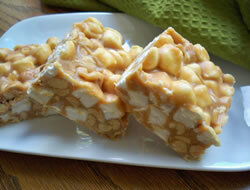 You will love the mixture of marshmallows and dry roasted peanuts covered with a creamy peanut butter coating. Melt butter and chips over low heat; add sweetened condensed milk. 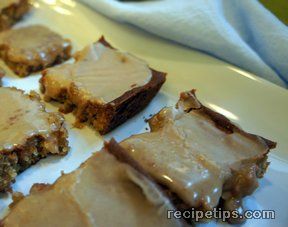 Remove from heat and add marshmallows and peanuts. Pour into a buttered 9X13 pan. Refrigerate. "These were definitely yummy! 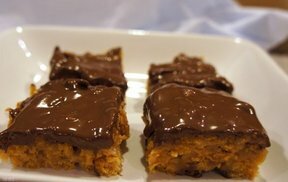 The sweetened condensed milk made them so creamy and smooth. We all loved them and they are so simple to make. It is also nice to not have to start the oven when the weather is so hot."